Vancouver International Airport, situated on Sea Island in Richmond, British Columbia, is a multiple award-winning international airport. Vancouver International Airport is one of the few major international airports to have a terminal for scheduled floatplanes. Owned by Transport Canada, Vancouver International Airport serves non-stop daily flights to Asia, Oceania, Europe, the United States, Mexico and other airports within Canada. Vancouver International Airport (IATA code: YVR) is the second-busiest airport in Canada and the hub for Air Canada and WestJet. Flights to Vancouver International Airport are provided by international airlines such as Emirates, British Airways and KLM. Vancouver International Airport is a 20-minute drive from the city centre of Vancouver. Book you cheap flights to and from Vancouver International Airport online! Vancouver International Airport has been the recipient of several international best airport awards. Originally used for the British Commonwealth Air Training Plan, Vancouver International Airport’s present main terminal was completed in 1968 and has since been expanded to include separate domestic and international terminals. Vancouver International Airport was ranked 13th worldwide, and has been awarded the Skytrax World Airport Awards Vest Airport in North America eight years in a row. Shops at Vancouver International Airport are sure to intrigue your curiosity. Along with world-class duty-free shopping, airport passengers can shop for accessories, books, souvenirs, clothing and travel goods. Vancouver International Airport has an incredible range of food and drink options. Discover cafés, juice bars, fast food outlets, bakeries and restaurants for your enjoyment. The Vancouver International Airport has luxuriating lounges for passengers to unwind and relax in. Plaza Premium Lounge, Air Canada Maple Leaf Lounge, British Airways Lounge, Cathay Pacific Lounge are located in the international departures terminal. Vancouver International Airport has quality facilities that can be accessed by airport patrons including a spa, a shoe and clothing cleaning service, postal services, banking, medical clinic and a dental centre. Foreign exchange can be purchase 60 days before departing Nigeria. Royal Bank of Canada and ICE outlets are located in the airport’s terminals. Parking options are plentiful at Vancouver International Airport, you can choose amongst short and long-term parking, covered parking and open area parking. The airport patrons can secure pre-booked parking online on the airport website at discounted rates. Vancouver International Airport is located 12 km from Downtown Vancouver. 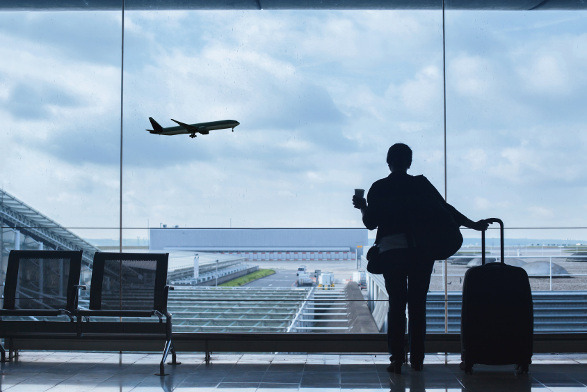 Trains, buses, metered taxis, car rentals, limousines and hotel shuttle options are available to transport you from the airport to your destination.